Because abdominal pain is so common, and is often hard for patients to describe, it can be difficult for doctors to diagnose. However, being able to pinpoint the pain can help. 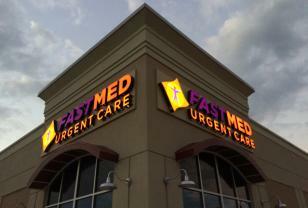 If you are experiencing pain in your left side and do not know what is causing it, Fastmed Urgent Care can help. Our network of walk-in clinics, located throughout Arizona and North Carolina, are equipped with on-site labs and X-rays, so you never have to spend extra time waiting for specialized care. Ouch! What Is This Pain in My Left Side? Crohn’s disease is a chronic inflammatory condition of the gastrointestinal tract that most commonly affects the end of the small bowel and the beginning of the colon. The symptoms of Crohn’s disease include diarrhea, rectal bleeding, abdominal cramps, and constipation. Irritable bowel syndrome affects the large intestine, but unlike Crohn’s disease, irritable bowel syndrome does not increase your risk of colorectal cancer. Symptoms include: cramping, abdominal pain, bloating, gas, and diarrhea. Ectopic pregnancy happens when a fertilized egg stays in your fallopian tube instead of traveling to your uterus. It is reported that 1 in 50 pregnancies result in an ectopic pregnancy, and most result in miscarriage. Kidney stones are mineral deposits that form inside your kidneys and usually do not cause any serious health problems. However, the deposits can cause extreme pain in your left side and sometimes require surgery if you are unable to pass them on your own. Helping you feel better is our single goal at FastMed. In addition to providing high-quality, cost-effective medical care, it is important that our patients are treated with courteous attention and concern. Our medical professionals are available 7 days a week, with no appointment necessary; FastMed is an affordable alternative to the emergency room for non-life-threatening conditions. Check-in online today!